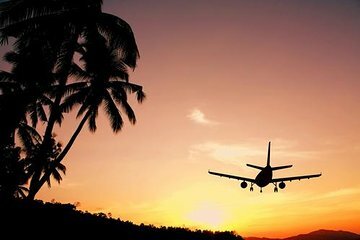 Avoid stress and hassle on the day of your departure from Cartagena with a private airport departure transfer. Travel directly from your hotel to Rafael Nunez International Airport, arriving well in advance of your flight. The private transfer coincides with your departure flight, and is available seven days a week, 24 hours a day. Greet your courteous driver at your Cartagena accommodation and begin the smooth and stress-free journey to Rafael Nunez International Airport in Cartagena. Arrive with ample time before your departure flight, allowing you to refresh and relax in the airport lounge. When booking, please provide flight and accommodation details. After instant confirmation, a travel voucher will be provided. Please present this voucher to your driver on the day of the transfer. I had a good, careful driver who spoke English, and delivered me right to the airline check in area. He assisted with luggage, and was very professional. The van never showed up. We had a confirmation email the night before pick up and we waited 40 minutes later than pick up time but the van never arrived. It was a rotten experience. We tried to call, but we either got a hang up or a message machine. It was the second tour that week that Viator never showed up for. Really poor. When my party departed the airport we met this friendly smiling face with our names on a plaque card waiting for us outside the terminal. Our bags were placed in the vehicle and we had pretty nice ride to the hotel, with interesting conversation from the airport to the hotel. It is the only wat to go to and from the Airport , The driver was very friendly and spoke good English. Driver was right on time, and met me in the hotel lobby. Nice, clean car, and he got me to the airport in plenty of time. He told me where my airline counter was located, and helped with luggage. On time and nice car very polite driver. Driver was 20 minutes late in picking me up which kept me on edge wondering whether he was going to pick me up at all, but nonetheless I made my flight with plenty of time to spare.